Four assailants are fatally shot by police, and another is captured after the attack. 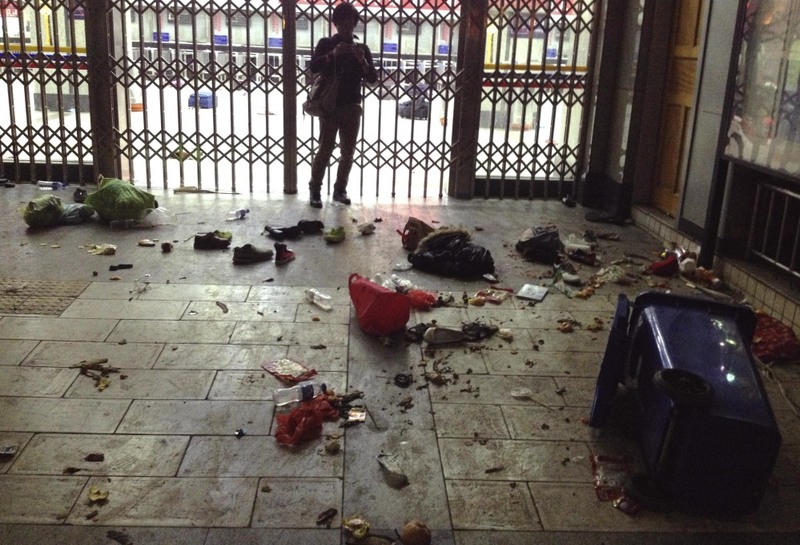 KUNMING, China — Authorities on Sunday blamed a slashing rampage that killed 29 people and wounded 143 at a train station in southern China on separatists from the country’s far west, while local residents said government crackdowns had taken their toll on the alleged culprits. “All-out efforts should be made to treat the injured people, severely punish terrorists according to the law, and prevent the occurrence of similar cases,” said China’s top police official, Politburo member Meng Jianzhu, who arrived in Kunming early Sunday, an indication of how seriously authorities viewed the attack. The attackers’ identities have not been confirmed, but evidence at the scene showed that it was “a terrorist attack carried out by Xinjiang separatist forces,” Xinhua said. The far western region of Xinjiang is home to a simmering rebellion against Chinese rule by some members of the Muslim Uighur population, and the government has responded there with heavy-handed security. Police in Kunming on Sunday were rounding up members of the city’s small Uighur community, believed to number no more than several dozen, for questioning in the attack and information about the assailants. Most attacks blamed on Uighur separatists take place in Xinjiang, where clashes between Uighurs and police or members of China’s ethnic Han majority are frequent, but Saturday’s assault happened more than 900 miles to the southeast in Yunnan, which has not had a history of such unrest. Restaurant worker Xie Yulong said the attackers were “worse than animals.” But he also expressed sympathy toward ethnic Uighurs, saying their region has come under severe security crackdowns in recent months under the government of President Xi Jinping. Student Qiao Yunao, 16, was waiting to catch a train at the station when people started crying out and running, and then saw a man cut another man’s neck, drawing blood. Alarms over a possible spread of militant attacks to soft targets beyond the borders of Xinjiang were first raised in October when a suicide car attack blamed on three ethnic Uighurs killed five people, including the attackers, at Beijing’s Tiananmen Gate. The violence in Kunming came at a sensitive time, with political leaders in Beijing preparing for Wednesday’s opening of the annual legislature, where Xi’s government will deliver its first one-year work report. Willy Lam, a political observer at the Chinese University of Hong Kong, said the attack coming so close to the National People’s Congress dented Xi’s message of a “Chinese Dream” coalescing under his rule. “Pockets of dissatisfaction, groups of people with grievances, appear to be increasing. After 1 1/2 years of more heavy-handed control (in Xinjiang), the report card does not look good,” Lam said.